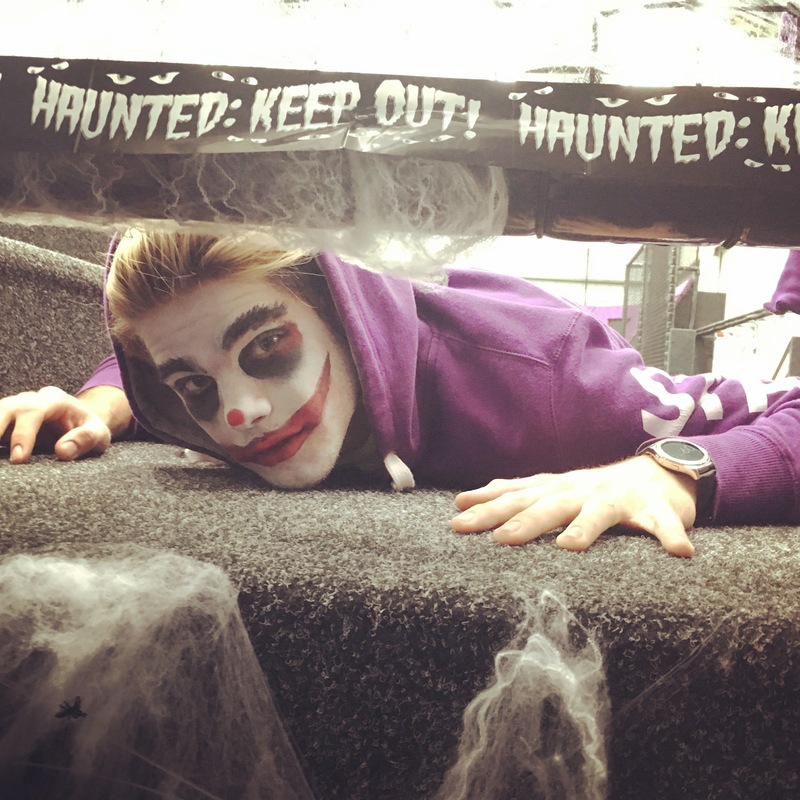 From Friday, 27th October until Monday, 30th November Hallowe’en is taking over Sky High! The entire park will be turned into a scene from Hallowe’en and there will be ghostly, ghoulish goings on so keep your wits about you on those trampolines…. Choose your spooky costume wisely, as there will be prizes for the best costume. If you haven’t got your costume sorted, don’t worry – our face painter will be here at certain times throughout the weekend to transform you into something ghastly! Toddler session will run as normal on Friday and Saturday from 9-10am with fancy dress, then at 10am things will start to get really spooky! Tickets for the toddler sessions are £7.50 per child + accompanying adult. Siblings £5 (5s and unders only). There must be one adult on the trampolines per every two children bouncing. Tickets for the open bounce session are £10 per bouncer. Book your tickets now or just call us on 01273 580029.